Postmaster, Dehradun Head Post Office came under the control of SSPOs Dehradun. All the TSOs were brought under the control of the SSPOs with effect from 1.10.1952.World famous snow clad peaks Nandadevi, Chaukhambha, Trishul, Kedardomb, Neelkanth and Valley of Flowers are also situated in this Division. The Division serves the a total population of 597798 (Chamoli - 370359; Rudraprayag - 227439) SPREAD OVER 9567.61 sq. km. through 1 HO, 1 MDG, 43 SOs, 10 EDSOs and 335 EDBOs. One Head Post Office and one Mukhya Dak Ghar and 14 Sub Post Offices are fully computerized in the Divsion. Since the creation of the Uttarakhand State on 9.11.2000, Dehradun has been declared "temporary capital" of the new state. The city has been crowned with Secretariat of Uttarakhand State, Vidhan Bhawan and a number of important State Government Offices. On creation of Uttarakhand Postal Circle, all POs of Hardwar District which were under Saharanpur Division have been brought under administrative jurisdiction of Dehradun Division with effect from 1.2.2001. 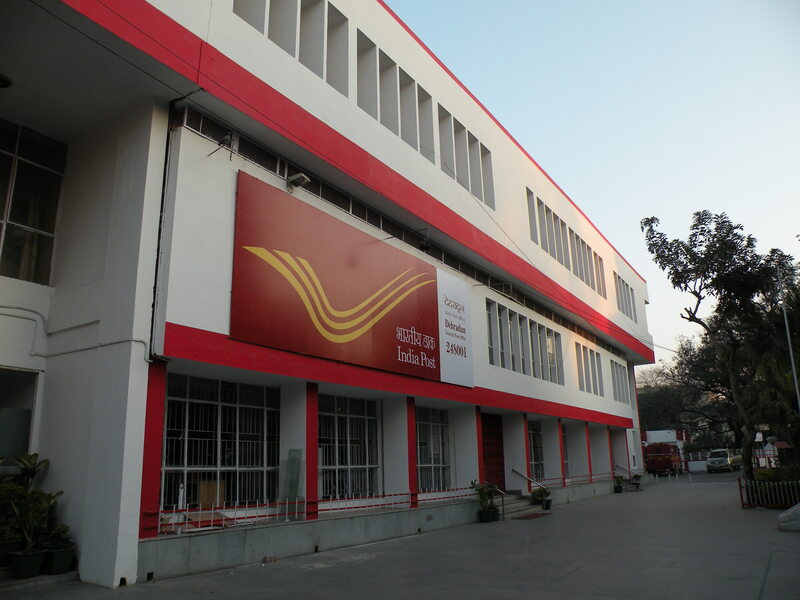 The Headquarter of Division is also the HQ of Chief Postmaster General, Uttarakhand Circle. The City also houses a very large number of Central and State Government Offices, includingForest Research Institute, Map Publications, ONGC, Survey of India, Indian Military Academy, General Manager Telecom, etc. Mussoorie, an important tourist destination, specially for summer tourists, is a hill range with the mean height of 6500 feet. It is a beautiful and open place for observing sites and views all around. Lal Bahadur Shastri National Academy of Administration has been established at Mussoorie.Hardwar District came into existence with effect from 16.12.1988. Hardwar is an economically developed District. the land is very fertile, the main crops being wheat, rice and sugarcane. BHEL has a major presence at Hardwar with electronics and scientific goods being manufactured on a large scale at nearby Roorkee. There is a sugar mill at another nearby town, Laksar. Rishikesh city of Dehradun District is a city of temples situated on the banks of the holy river Ganga. It is the gateway for the hills of Tehri, Uttarkashi, Pauri and Chamoli districts. The entire pilgrimage routes for Gangotri, Yamunotri, Badrinath and Kedarnath pass through Rishikesh. From 15.2.1956 Saharanpur District was taken out from this Division. Further, on 13.10.1972 Tehri and Uttarkashi District, hitherto part of this Divison, were also withdrawn and created as a new Tehri Division.